I thought with this Seed Sowing Saturday post I would update you on how my seeds are coming more so than talk about new seeds. In fact I can sum up the new stuff in with simple sentence: I sowed ‘Rudbeckia Cappuccino’, ‘Starlight’ Coneflower, and Penstemon. There, that was easy! I’ve been busily getting the garden ready outdoors this week and haven’t spent as much time with the seed sowing as I should. I have many more seeds I want to get planted so I had better get my act together! Sowed in the vegetable Garden: Lettuce, Spinach, Red Onions, Red Potatoes, Yukon Gold Potatoes, Sugar snap peas, and asparagus! OK I’ll admit it, the asparagus wasn’t from seed. Still to Plant Outside ASAP: Bok Choy, cabbage, carrots, beets, and radishes. Indoors: Lots of tomatoes! Including Black Krim, Brandywine, Orange Sungold, Chianti Rose, ‘Woodle Orange’, and Cherokee Purple. So there’s my seed sowing update list. I may have left something out – I usually forget something! Hopefully this weekend I’ll get the remaining direct sow vegetable planted. 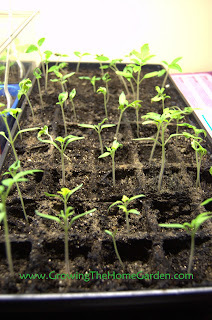 And to show you some progress here are some pictures of my tomato seedlings! The tomatoes in the foam containers are doing great. 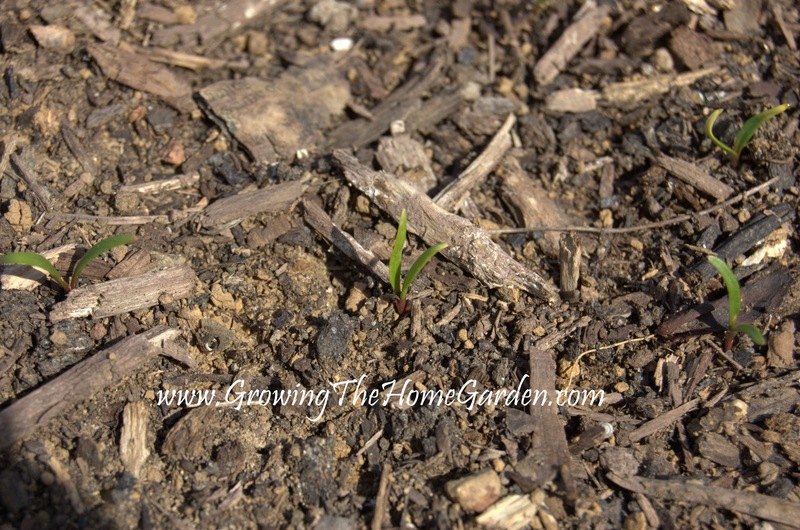 The stevia hasn’t germinated yet but it may need more time. 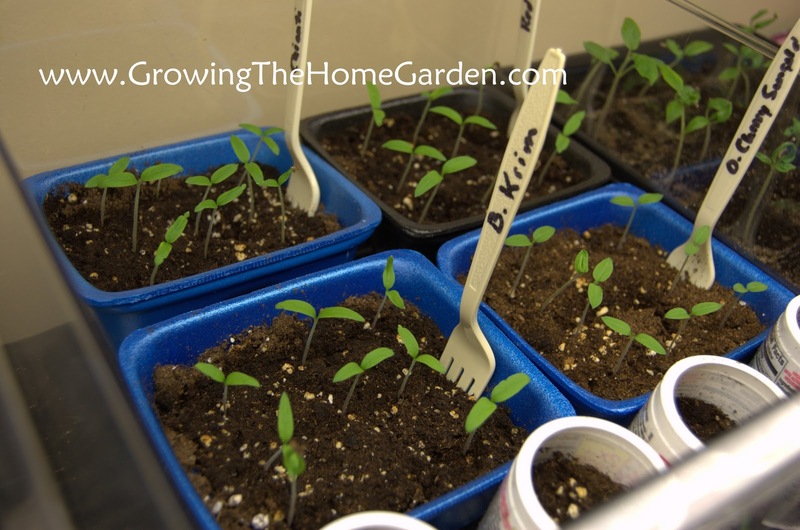 Each tray has 8 out of nine tomato plants germinating. Some of the first tomatoes I planted are putting out their true leaves. One month from now and I should be able to plant these guys outside! Soon I may transplant them into larger size pots in my garden shed to make more room for seeds indoors. How are your seeds doing? To join in on Seed Sowing Saturday just link back to this post and tell us about your seed sowing experiences over the past week. Be sure to leave a link below so we can come over and visit your post! Don’t forget a Tweet or a Facebook mention/like is always a good thing! Happy Seed Sowing! Don’t forget to visit these seed sowers! Dang Dave! Everything looks and sounds busy around your home…don't forget to sleep some. WOW! you should have a bountiful harvest all summer long. Your tomatoes look especially good. I'm hoping to plant peas today! Wow! Look at you GO! I've yet to start ONE SEED! I'd better get at it, eh? ALL of your seedlings look beautiful. 🙂 Mine not so much, especially the broccoli. But I put them in the raised beds anyway. 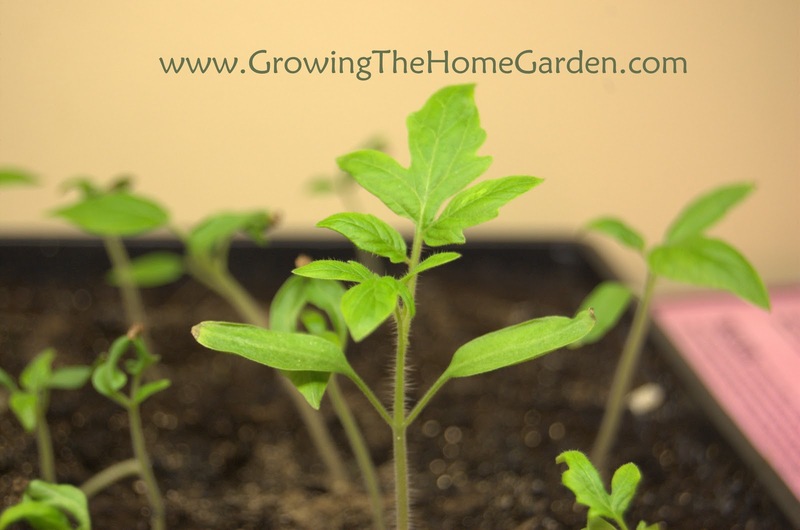 Your seedlings look wonderful! I love that you are using plastic forks as plant markers! Awesome. Tree form Amelanchier is a superb choice! "find a better behaved pear … like the Cleveland." For what it's worth, pear wood is pear wood, they are all inherently weak wooded trees which will, regardless of cultivar (Chanticleer, Aristocrat, etc) break under ice/snow & wind. Bradford is the worst, but all Pyrus calleryana are short lived, attractive junk.